Before this year officially ends, I need to pause briefly to reflect on one of the greatest personal losses I have had. It is a blow that, four months later, I still feel very deeply. My pastor has a saying: you are only a phone call from having your whole world turned upside down. The Men's Ministry leader also has a saying: we are not guaranteed tomorrow. Both of these are so true. We wake up, have breakfast, if we're fortunate go to work, have lunch, continue working, and go back home before going to bed. We make plans, sometimes short-term, sometimes long. We believe ourselves assured tomorrow, especially when we are young and youngish. We don't expect to be in that accident. We don't expect to keel over clutching our chests. We don't expect to stop breathing. We live out our lives, not conscious of the fact that this day may be our last. I think that is as it should be, otherwise we'd be in a perpetual state of fear. Death is something that will come to us all, but it is not something we should dwell on. Sometimes however, Death forces us to look at it. On August 11, 2017, one of my closest friends, Fidel Gomez, Jr., died suddenly. Just about every detail of Fidel's death is simply far too tragic and/or gruesome to share, and I know that he would not like much said and written about his life either. I have to balance paying tribute to him with respecting his right to rest in peace. I think though, there are some things I can get away with with his approval. I can share he never liked 'Fidel', because of well, you know. Whenever we would get coffee, which was almost all the time and one of the bedrocks of our friendship, he would always give his name as 'Gomez'. I can share that when we had coffee, we would spend hours and hours talking about anything and everything: our jobs, our families, our desires for relationships, Joy Division and Morrissey (whom we saw once together, with a 'Morrissey Birthday Party' being the rare time we'd hit a club). It was an intimate relationship, as intimate as a relationship between two men can be without any sexual or romantic connotations. Fidel and I met in college, if memory serves correct in the Radio/TV/Film Scripting class. 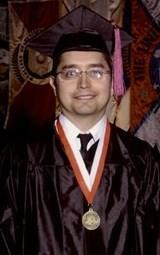 He was older than me and had been at UTEP before I got there, but graduated after me. I guess he was what you'd call a 'permanent student'. We bonded slowly over our mutual shyness and passion for films. After he did graduate, we stayed friends before he disappeared, not returning or making contact for years. It was only by the sheerest of coincidences that we reunited. In 2014 I was going to Charleston and stopped at the Barnes & Noble to kill some time before going to the airport. As I was leaving, I see Fidel sitting at a table. I was thrilled to see him again, and I think he was happy too (Fidel didn't get thrilled by nature). I tell him I'm about to leave but that I would call him when I got back. When I came back, we picked up where we left off. Neither of us could have thought we'd have just three years left, though I'm thankful they were three years of laughter, shock, deep conversations and contempt for bad films. That was one of the things that held us together: we loved movies. He got me to love Herzog and Fellini, and I got him to love Welles and Hitchcock. We talked about Ebert & Roeper like some people talk about Game of Thrones. We would go to the movies whenever time allowed, from the Alamo Drafthouse to the second-run theaters, always taking turns paying. In fact, it took me a long time to even think about going back to the Alamo after his death. It was always such a special place for us, almost 'our place', and I simply couldn't bear to go there alone, especially knowing he wasn't ever going to meet me there with a "Hello, Richard". For reasons known only to him, he called me 'Richard'. My friends call me 'Rick', my family calls me 'Richie', my parents call me 'Ricardo'. He was the only person to call me 'Richard', and I never felt the need to have him call me anything else. For me, however, our friendship was more than movies, though that was a big part of it. I was able to open up with Fidel in a way I haven't with anyone. He was more than my friend. He was my confidant, the person I could talk about almost anything with. I shared things with him I never shared with anyone, things that he did take to the grave. I cannot say the feeling was mutual, but I had full trust that deeply embarrassing moments, private thoughts, and deep dark secrets and hopes were things I could share with him. In a lot of ways, I think we were similar: both aspired to write, both knew the frustrations of not finding good work (though to be fair, I was blessed with a great job and he, sadly, wasn't), both marveled at how some people in Hollywood had careers when neither of us saw any discernible talent. I know Fidel ultimately never fully opened up to me the way I did to him, though I too kept at least some things private. I only wish I could have told him just how much he meant to me, how much I appreciated him and his friendship. I wish I could have told him how special he was, how he always sold himself short, how many people genuinely cared for him. I miss him. I just miss him. I miss being able to share inside jokes, being able to have laughs about the people we knew and their idiosyncrasies. I am going to miss those little things: his frustration at having to pay for a 3-D screening of Gods of Egypt because he didn't check the screening times, his admitting I was right about CHIPS, his teasing me about how excited I was for Green Lantern, his imitation of me using a deep voice to talk about "the Criterion Collection" or how we in mock-tones would describe a film as "the most important film of this, or ANY generation". I also miss not being able to show him the original Murder on the Orient Express so that he could compare it with the remake. I miss how we never got the chance to see Spider-Man: Homecoming together, a film he was completely opposed to seeing, even after I offered to pay. After his death, I went to see it, alone. There was simply nothing holding me back, but I watched it with a twinge of sadness, knowing full well that this was the first of many movies I would not be able to share with him. He loved Blade Runner and I figure was looking forward to seeing Blade Runner 2049. It tears at me that he never got the chance. It tears at me that on August 11, the very day he officially died, I sent him a text asking if he was going to be able to go see Xanadu with me the next day at the Plaza Classic Film Festival as he had said he might, his work permitting. I would never have imagined as I looked around, waiting to see if he would show up, that his remains were being carried out of his apartment. I never thought as I was watching Xanadu, that my friend was never going to be there. There hasn't been a week since his death where he doesn't comes to my memory, especially since I drive past the cemetery he is buried at whenever I go to work. I think I can share that he would be both displeased and not surprised that he, who never learned to speak Spanish despite his name, would end up being buried less than five miles from the U.S./Mexico border. I can hear his voice, again in mock-tone, imitating me in saying, "We are not amused". His sister called me from his phone a week after his death to tell me he died. That night, I had an uneasy sleep, and in the fits of sleep I managed, I had at least one short dream. We were walking together when he made a sudden sharp right turn. A barrier like a train crossing gate fell between us, and a figure suddenly stood alongside him. This figure shook his finger, making it clear I could not come across, while Fidel just waved goodbye as they walked away. I like to think that was his way of saying farewell, one last look before going. After his death, I found that for how special he was to me, I had only one picture of us together. It was taken when we went to a UTEP football game as a promotion. I'm so glad I have it and treasure it, where it is displayed prominently. To be honest, I haven't had the courage to see the DVD he lent me: a trio of war films that I never got around to. Odd that the DVD now has a more special meaning: the last and only tangible thing I have left of him. I feel his loss greatly, and perhaps I will as long as I am allowed to live by the Grace of God. However, his death made me think about my own life, what I thought, where I was, how I was. I am learning to appreciate each day I'm given, the friends I have (though few as close as he was to me). I've learned to try new things, to break out of my routine and my shell. I can't say that I'm starting an adventurous life, but I am learning to be less bound, both in what I try and in letting others define who I am. I know I have a limited life, and I don't want to leave it unexplored. I figure that if Fidel read this tribute, he'd say it was too long, a bit sentimental, and using one of his favorite critiques of my writing, 'pretentious'. Well, now let me end by coming round full circle, back to a memory of Charleston that came to me when I touched Fidel's casket and had the full impact of this great personal loss hit me hard. One of the places I visited in Charleston after unexpectedly reuniting with Fidel was a plantation, Drayton Hall. There, a descendant of the plantation slaves crafted an arch to the entrance of the slave cemetery. On it are these words, "Leave 'Em Rest". I think that is as good a thought when it comes to Fidel now as can be given. Whatever was buried with him should remain so. There is so much I can share, but I know he wouldn't like it. I'm not sure he'd like these reflections, but I want to share them because he was so very special to me. I thought him fun and funny, smart, flawed, private, but a good, good friend, one I thought would be with me for years and years. Goodnight and goodbye, my dear friend. This is my tribute to my friend Fidel Gomez, Jr., someone I loved and will remember for as long as I have life & memory. I leave you, my dear friend Fidel Gomez, Jr., rest.